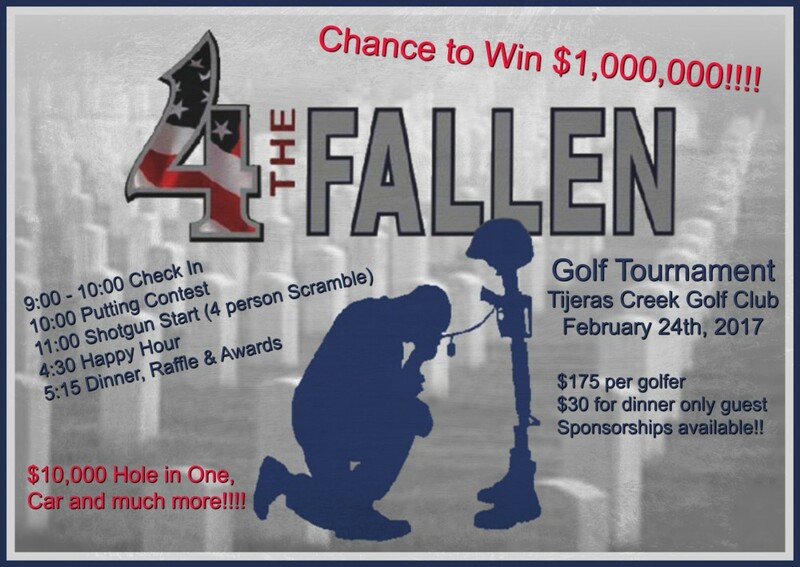 Join us for our 1st Annual (Orange County) 4 the Fallen Golf Tournament on February 24th, 2017 at Tijeras Creek Golf Club in Rancho Santa Margarita, CA. 4 the Fallen is a grass-roots, direct impact organization managed entirely by volunteers and founded by Armed Forces veterans Jaime Fregozo (US Army SFC) and Gregorio Zayas (US Army Major). Our goal is to partner with corporations, foundations, advocacy groups, government officials and others to create funds necessary to manage critical programs and services such as Service Dog Initiatives, Family Support Services, Advanced Prosthetics, Adaptive Sports Programs and Flag Ceremonies. Len Anderson, Pictured above, was Honored by 4 the Fallen while still in his hospital bed recovering from severe injuries due to a remote detonated IED. 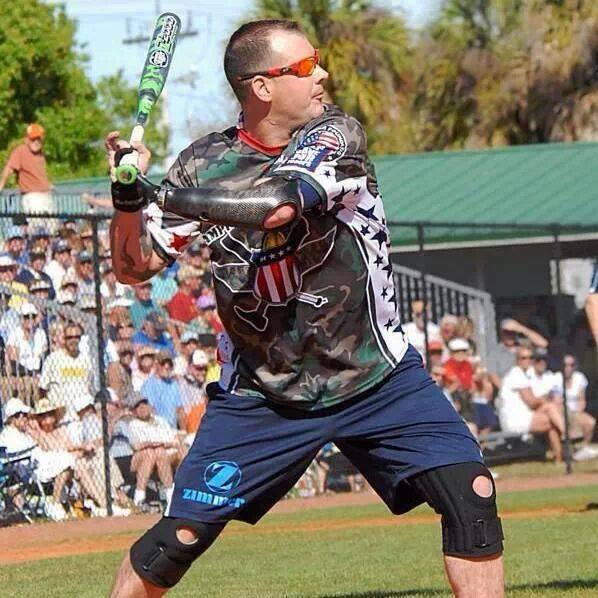 With the financial support and assistance from 4 the Fallen and their Adaptive Sports Program Len was able to get back on the softball field playing for the Wounded Warrior Amputee Softball team and now the Louisville Slugger Warriors. He also competed in the Warrior Games and the Invictus Games. Len retired from the US Air Force as a Tech Sgt(Tsgt). Program Goal: The goal of our Service Dog Program is to empower veteran service members suffering from Post Traumatic Stress Disorder (PTSD) to return to an independent and high quality lifestyle. 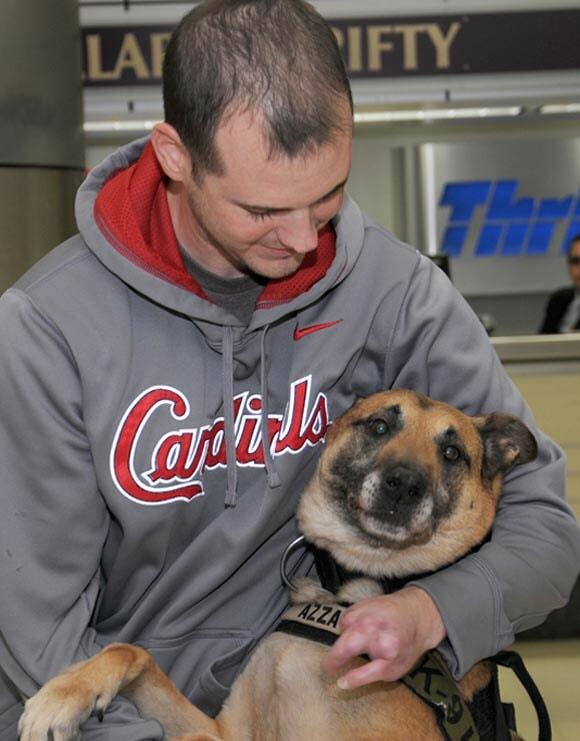 Program Vision: 4 The Fallen is dedicated to providing rescued/adopted then service trained canines to service members suffering from Post Traumatic Stress Disorder (PTSD). In partnership with the Patriot Service Dog Foundation, 4 The Fallen assists veterans with PTSD in receiving a trained and certified service dog. For more information on the Patriot Service Dog Foundation, please go to Patriotic Service Dog Foundation. *Can't attend but want to help? Try the Helicopter drop! Do not have to be present to win.